Because it’s who we are.... Southern Baptists all over Ohio are serving boldly as ambassadors for Christ - sharing the love of Jesus and His message of reconciliation through the Gospel. 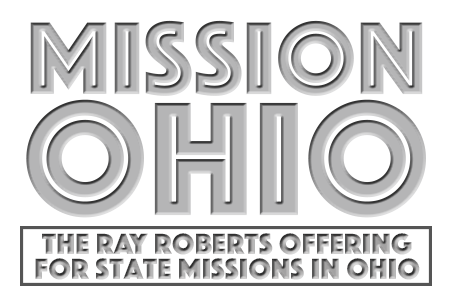 One week each year is set apart to celebrate mission work in Ohio and to collect the Ray Roberts State Mission Offering. 100% of all funds collected are provided to missions and ministries right here in Ohio! Additionally, many of the print materials can also be ordered directly from the SCBO - at no charge. To submit a standing order to be sent to your church automatically, use this form. To place a one-time order, please contact us via email. How do I give to the State Missions Offering? The best way to support missions & ministries here in Ohio is by giving through your local church. All you need to do is designate your special gift to the Ray Roberts State Missions Offering. Your church will take care of the rest! Ministry Feature Video - highlighting 'English as a Second Language' at Lakota Hills Baptist Church.